Ampersand Bords offer a great alternative to paper and canvas as they are ready to work on without stretching and do not tear or buckle. Mounted on a Masonite support, these boards are ideal for presenting finished work without framing. Archivally sealed between the Masonite and the working surface, these bords are completely acid free to protect your work from yellowing over time. Aquabord (ideal for watercolour, poster colour, gouache and ink) absorbs the medium quickly, allowing you to work in glazes without altering the under layer. 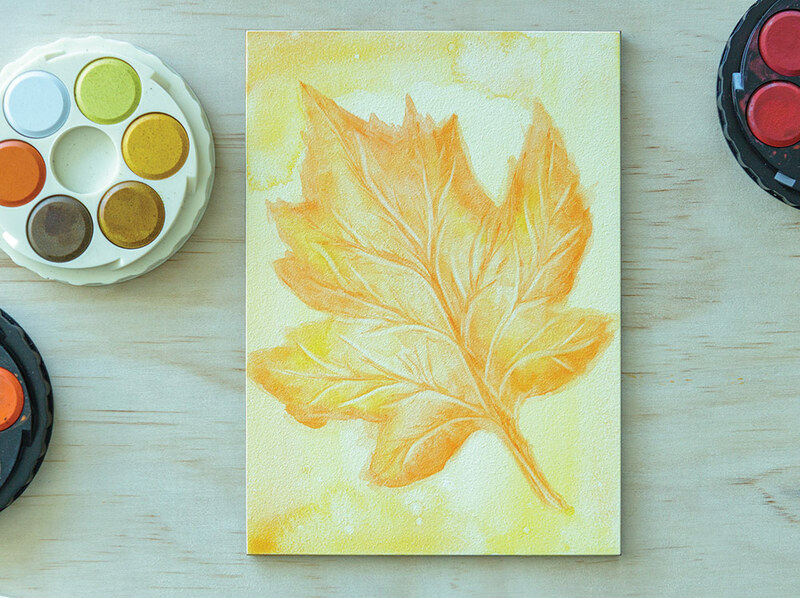 Unlike watercolour paper, you can lift off colour without leaving marks. This eliminates the need for masking or adding harsh white highlights to paintings. TIP: Wet the surface with water before working. As air bubbles come to the surface they will pop in your work creating small white dots – this can be an interesting effect! 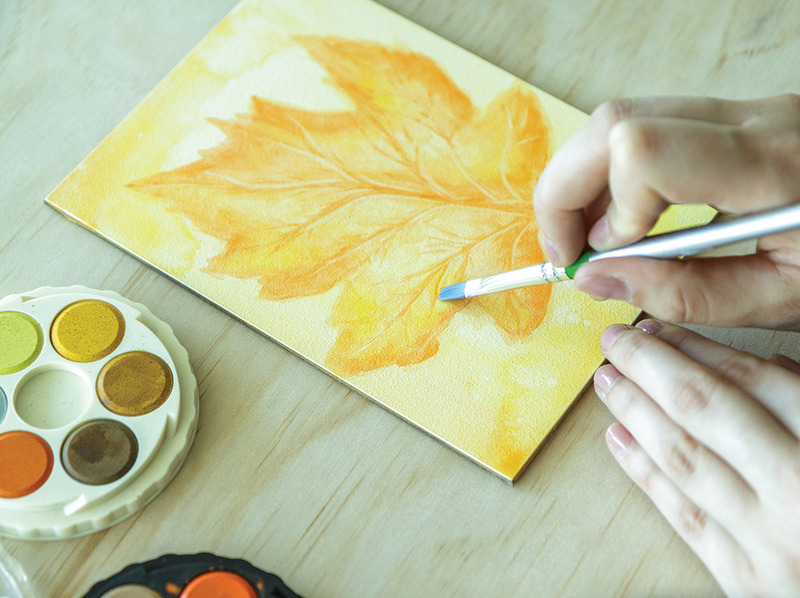 Heavily apply Watercolour or Zart Poster Colours to ensure the colour is very saturated. Allow the colours to blend and move. 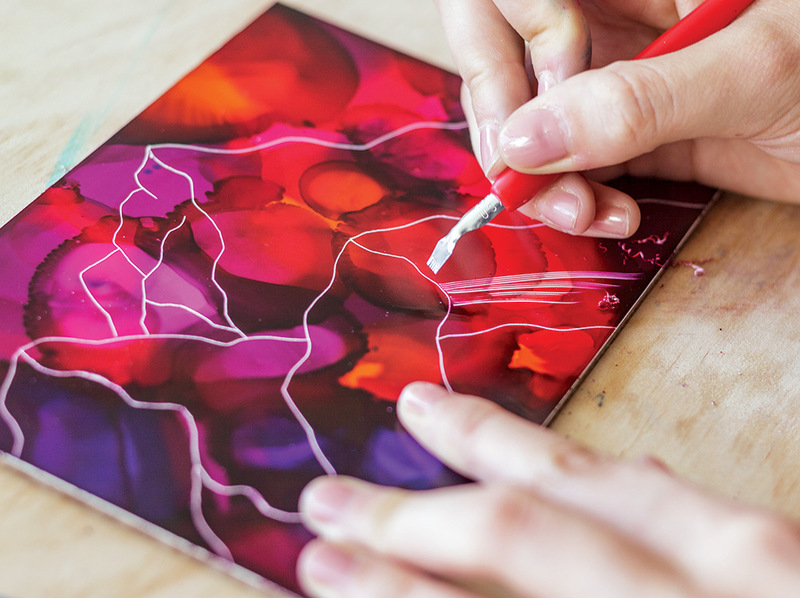 When the paint is touch dry, spritz water onto one side of a stencil, being careful not to over-wet. Press the stencil, wet side down, onto the Aquabord. 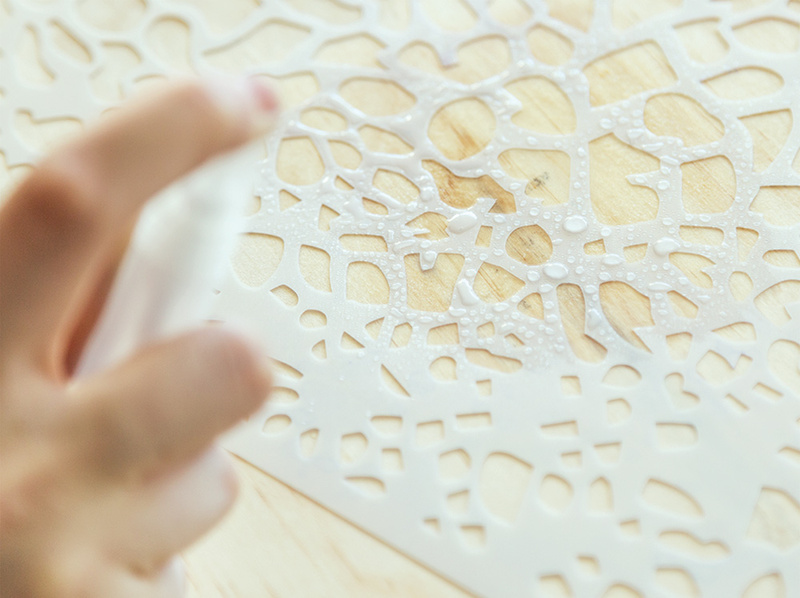 Lay the stencil wet side down and press firmly with your fingers (note: make sure your hands are clean from paint). 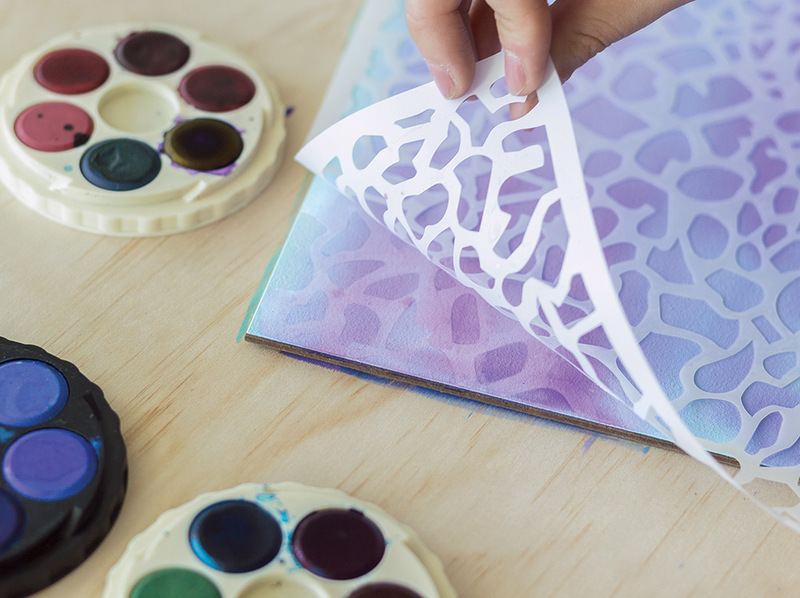 After a few minutes, gently pull back the stencil, revealing the pattern.Watch it become more contrasted as it dries. Apply Watercolours or Zart Poster Colours. 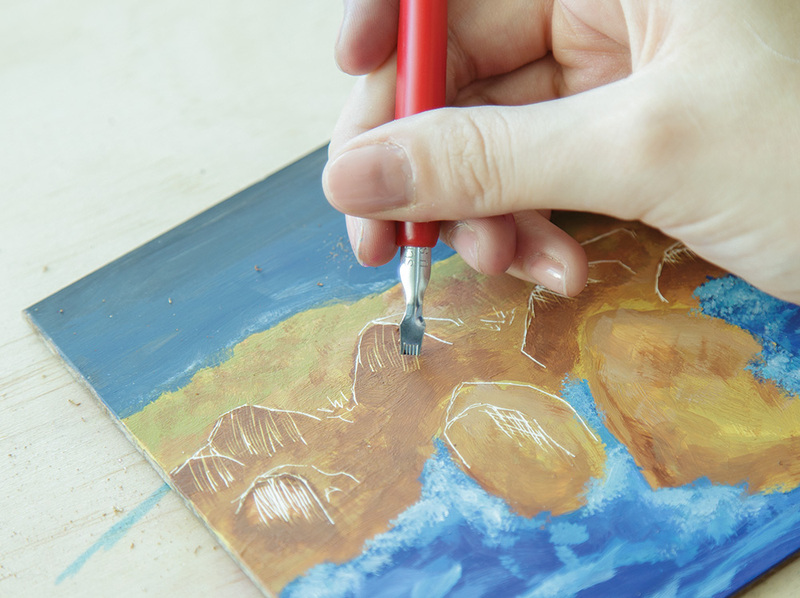 Paint will absorb quickly, allowing you to work quickly. Add highlights using a wet brush to lift off colour. 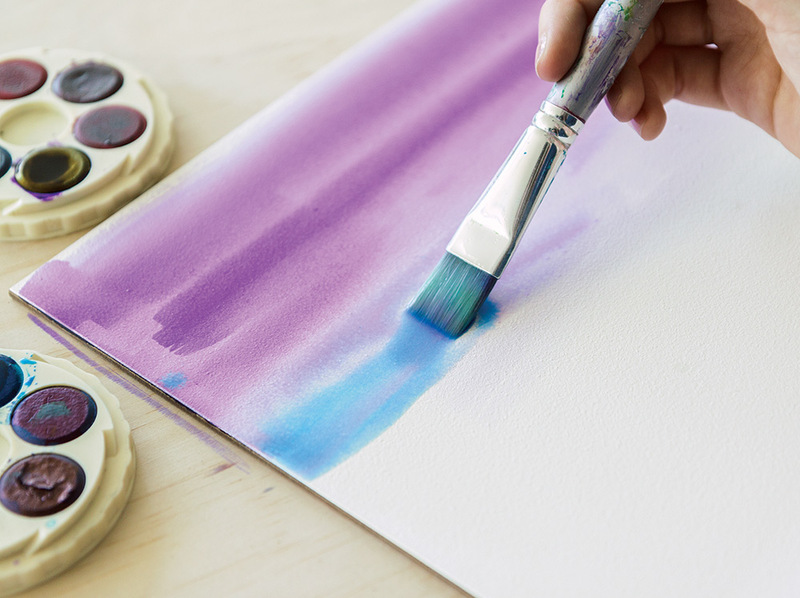 Blot the colour you take off the panel onto paper towel to ensure your brush is clean. Then re-wet your brush with clean water. To soften the highlights from stark white, simply apply a light wash of colour in a similar tone. This will tie your painting together. The Claybord is smooth to work on and will accept colour well. It is unique because you can scratch back into the painted surface using steel wool, sandpaper and scratching tools. 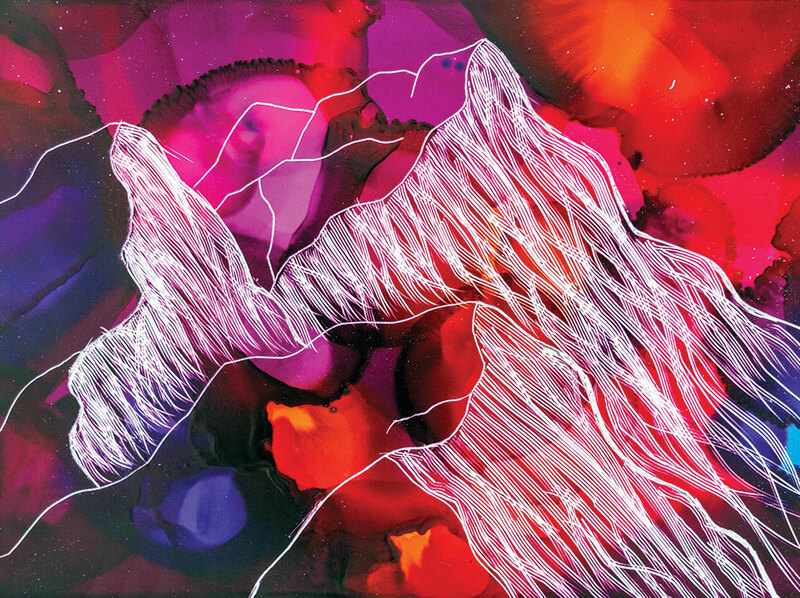 Apply Piata Alcohol Inks or Art Spectrum Pigmented Drawing Inks. 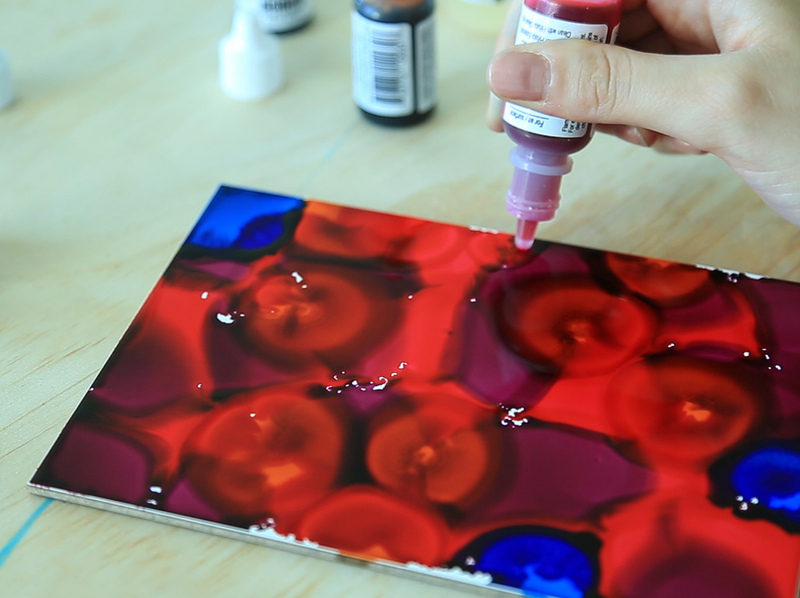 Add layers of ink while wet for interesting mixing results. 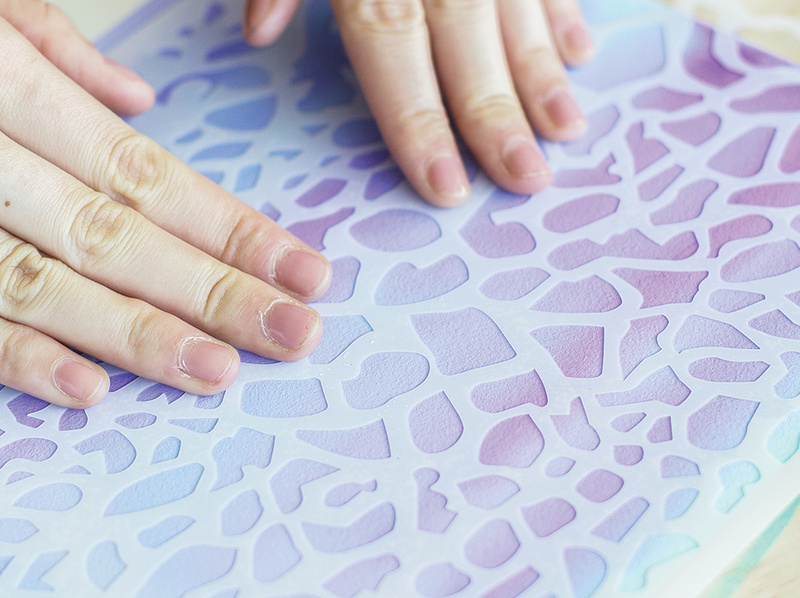 When dry, scratch a design into the surface using Scraper Cutters. The white colour of the Claybord will be revealed in areas where you scratch. Try cross hatching to three-dimensionally render your drawing. 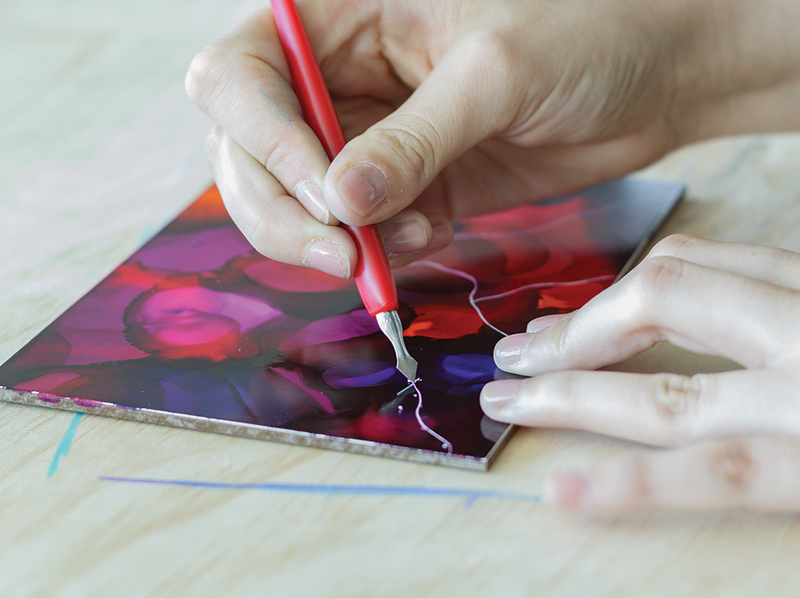 Tip: You only need to scratch lightly, enough to take the colour off. 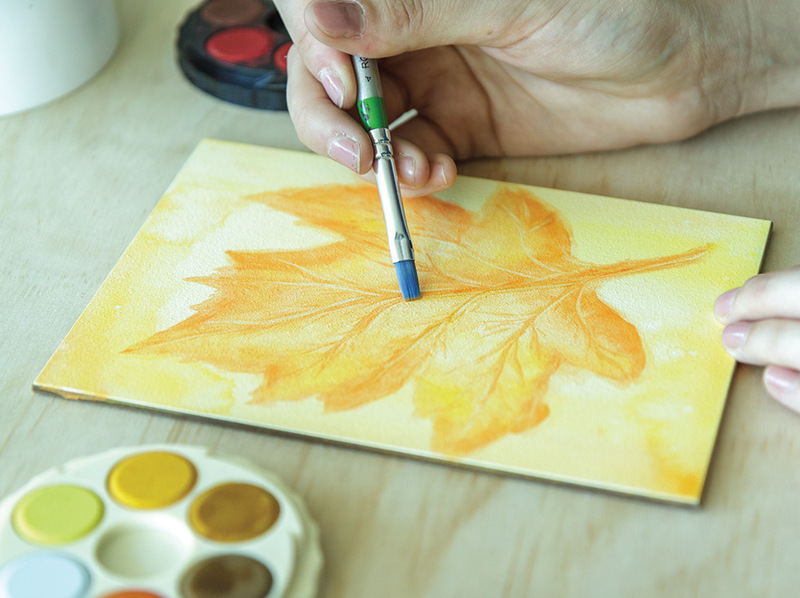 Simply wipe any dust off the completed artwork. No need to varnish as the inks are permanent. 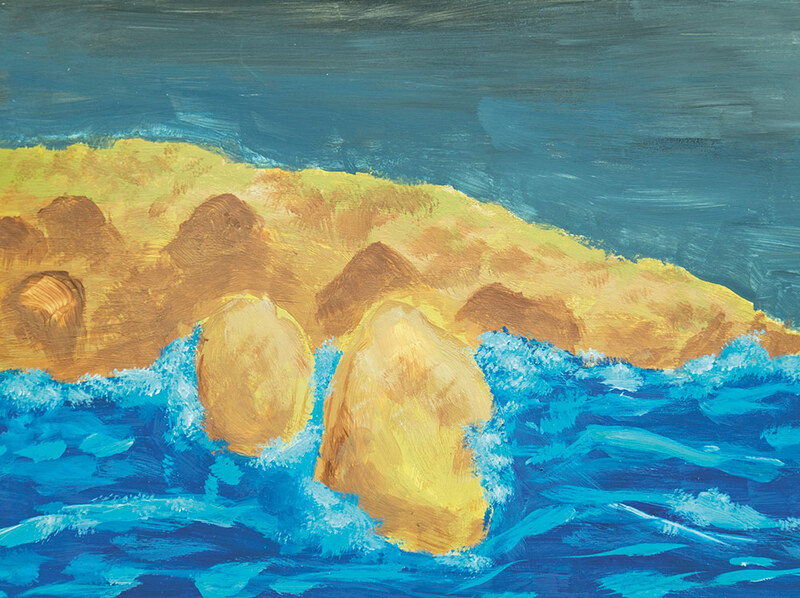 Paint a landscape using acrylic paint by blocking in large areas of colour. Don’t worry too much about the details. Use Scraper Cutters for more refined details. Add definition and highlights to your work. Use steel wool or sandpaper to scratch back the colour. Working in a circular motion will imply a natural stormy effect. This method is great for adding highlights to suggest hair or fur! 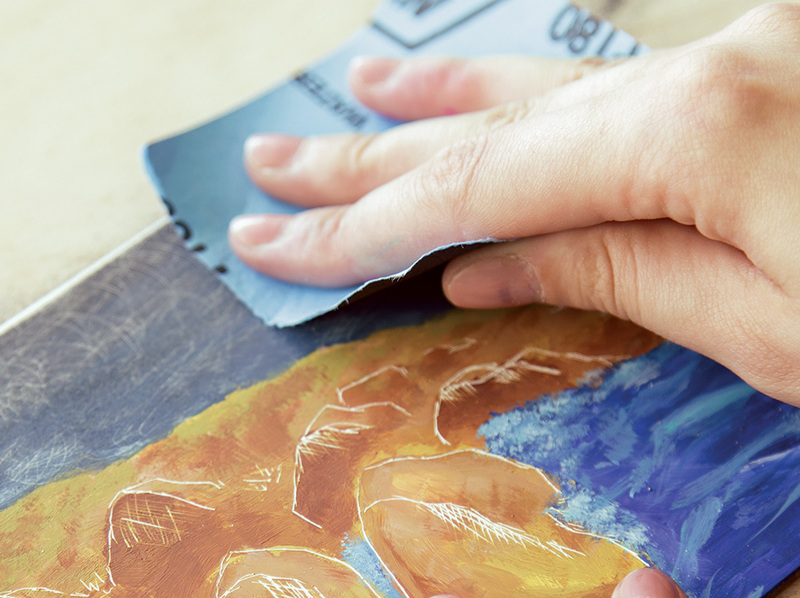 Simply wipe any dust off the completed artwork. Spray a light coat of varnish over the surface for extra protection (Note: all aerosols should be used outdoors). If you are feeling inspired and want to explore our Ampersand Mixed Media Bords you can buy it now.